Casinos have officially just stepped things up a notch when it comes to problem gambling. 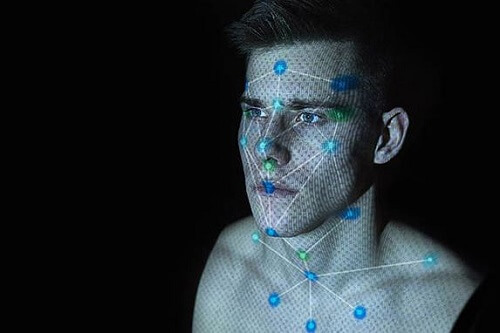 Through the implementation of facial recognition technology, they are now able to identify problem gamblers with ease. Depending on your perspective this could either be the most fantastic thing you have ever heard of, or it could be slightly creepy. Human, an artificial intelligence company, brought this all to life. Having developed a new technology that now combines facial recognition software with, what is known as, AEI (Artificial Emotional Intelligence). They did this to create a program that would ultimately monitor the anxiety and depression experienced by a player, which is analysed in real time. This is subliminal facial expressions recognition. Casinos are no strangers to facial recognition technology. However, they are more versed in what is known as SIFT (Scale-Invariant Feature Transform) software, as it is used largely to identify card counters. These card counters would, in turn, be removed from the premises. Further, SIFT software assists to scan out the new players from the regulars. More so, it can pick up on whether these players are making any suspicious wagers and the consistency thereof, so that such people can be denied access to the casino thereafter. Although the technology that SIFT brings to the table is wonderful, it is completely contrasting to that of Human. Human believes that their technology will contribute to the social responsibility of companies working within the casino and gambling sector. The reason they say this is because they will now be able to identify players who have the potential to be problem gamblers. This is done through the use of deep learning, which is able to interpret characteristic traits and emotions. The founder and CEO of Human, Yi Xu, expresses that social responsibility is a huge focus area when it comes to gambling. Due to the ongoing scanning of people’s characteristics and emotions while gambling, the system is able to pick up on extreme highs and lows in a players’ emotions which could, in turn, indicate irresponsible or distressed gambling. The reason that Yi Xiu expresses this to be a great socially responsible tool is that casinos can now pick up on who their problem gamblers are, and help them before their situation worsens. Moving on to a lighter note, it is said that this technology could be used for poker training. They will do this through the facial recognition and AEI software to help players regulate their poker faces and non-verbal cues. We at Pokies.com are excited to see what this new technology has in store for Aussie gamblers.